The only thing worse than tax preparation and planning, accounting and paying taxes is trying to do it without a professional’s help. A better than not paying taxes is having a savvy pro prepare them in such a way as to get the maximum return or have a client pay the least amount in taxes. Government statistics assert upwards of 71 million taxpayers find professional tax preparation immeasurably beneficial. The “immeasurable benefits” include an array of deductions and credits that potentially add up to large returns. Tax laws are so numerous and so stupefying, only a seasoned, trained professional can navigate them effectively and score the maximum return for a filer. Tax-filing computer software, contrary to its popularity, has its drawbacks, namely because software cannot duplicate the face-to-face interactions that invariably allow an experienced tax pro to get filers the absolute max they are entitled to.? ?Despite how simple and promising the leading online tax prep software seems, it will never replace live person-to-person tax preparation and planning, accounting and a tax pro’s hands-on wisdom. Also, most online or boxed software entails extra filing fees. Why not give this fee to a tax pro in exchange for a larger return? Learn how to contour payroll withholding and get more money back on each check. Anything else amounts to a 16-month interest free loan for the IRS—a loan that doesn’t need to happen. 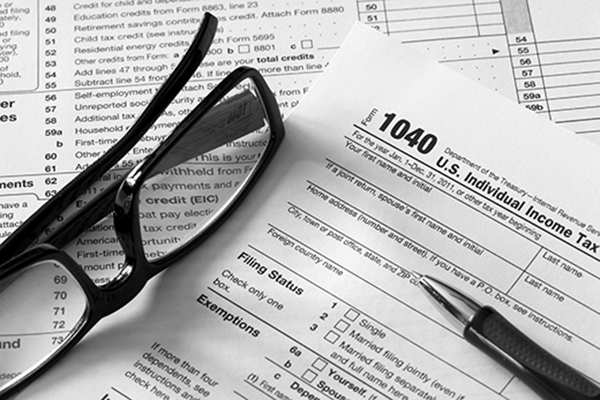 Learn about potential deductions that could limit tax liability for the following year. Upon filing, enjoy premium software only tax professionals have access to, software that checks and rechecks returns, their info and corresponding math, and identifies any/all issues the IRS might potentially raise. Experience a super fast turnaround via e-filing! Any personal income tax returns the business owner(s) may require. Lastly, a tax pro can put an easy, matter-of-fact bookkeeping system in place, ensuring simple maintenance thereafter.